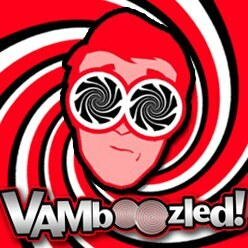 February | 2017 | VAMboozled! In one of the sections of the skit, though, “Spicer” introduces “Betsy DeVos” — portrayed by Kate McKinnon and also just today confirmed as President Trump’s Secretary of Education — to answer some very simple questions about today’s public schools which she, well, very simply could not answer. See this section of the clip starting at about 6:00 (of the above 8:00 minute total skit). In short, “the man” reporter asks “DeVos” how she values “growth versus proficiency in [sic] measuring progress in students.” Literally at a loss of words, “DeVos” responds that she really doesn’t “know anything about school.” She rambles on, until “Spicer” pushes her off of the stage 40-or-so seconds later. Humor set aside, this was the one question Saturday Night Live writers wrote into this skit, which reminds us that what we know more generally as the purpose of VAMs is still alive and well in our educational rhetoric as well as popular culture. As background, this question apparently came from Minnesota Sen. Al Franken’s prior, albeit similar question during DeVos’s confirmation hearing. Snyder notes that Saturday Night Live writers, with their humor, might have consequently (and perhaps mistakenly) “made their viewers just a little more knowledgeable about how their child’s school works,” or rather should work, as “[g]rowth vs. proficiency is a key concept in the world of education research.” Thereafter, Snyder falsely asserts that more than 2/3rds of educational researchers agree that VAMs are a good way to measure school quality. If you visit the actual statistic cited in this piece, however, as “non-partison, honest, and fact-based” that it is supposed to be, you would find (here) that this 2/3rds consists of 57% of responding American Education Finance Association (AEFA) members, and AEFA members alone, who are certainly not representative of “educational researchers” as claimed. Regardless, Snyder asks: “Why are researchers…so in favor of [these] growth measures?” Because this disciplinary subset does not represent educational researchers writ large, but only a subset, Snyder. As it is with politics today, many educational researchers who define themselves as aligned with the disciplines of educational finance or educational econometricians are substantively more in favor of VAMs than those who align more with the more general disciplines of educational research and educational measurement, methods, and statistics, in general. While this is somewhat of a sweeping generalization, which is not wise as I also argue and also acknowledge in this piece, there is certainly more to be said here about the validity of the inferences drawn here, and (too) often driven via the “media” like The 74. The bottom line is to question and critically consume everything, and everyone who feels qualified to write about particular things without enough expertise in most everything, including in this case good and professional journalism, this area of educational research, and what it means to make valid inferences and then responsibly share them out with the public.